The Ann Norton Sculpture Gardens in West Palm Beach is Just Around the Corner! Aaron’s Catering of the Palm Beaches Creates the Best Garden Weddings in Town! Looking for a truly exotic garden setting for private parties, wedding ceremonies and receptions? 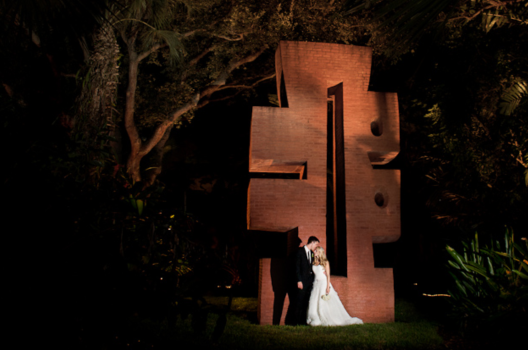 The Ann Norton Sculpture Gardens located in central downtown West Palm Beach, with its historic home, artist’s studio and rare palm gardens provides an elegant outdoor entertaining location and is located on the Intracoastal Waterway. Celebrate the night away amongst the giant sculptures, palms and fountains. On street parking on Barcelona Rd. Group parking can be arranged. A wedding and cooks tent is included in the wedding package. An upstairs room and bathroom can be used as a bridal dressing area. Or ask about our luxury Lovestream lounge—a new retro airstream trailer furnished with that vintage look and feel.